Jonathan is one of my favorite clients. He came to me in the middle of a career transition, looking for something that would make him happier. Like all my clients, Jonathan has a huge heart and a gorgeous soul – he’s someone that brings joy to the people in his life. He has a call to make a difference in the world, and he wanted to incorporate that call into his career. I hear this idea from Soul Warriors who have worked in corporate settings more than any other. It speaks to the sense of incompleteness, of a longing to fulfill a deeper calling, a deeper sense of purpose to us being on the planet. Soul Warriors want to make a difference with their lives – to positively impact those around them and leave the world at least a little better than when they found it. To these souls ‘stuck’ in a corporate environment, a nonprofit sounds like a dream job, the magic idea that will fulfill this sense of needing to make a difference. 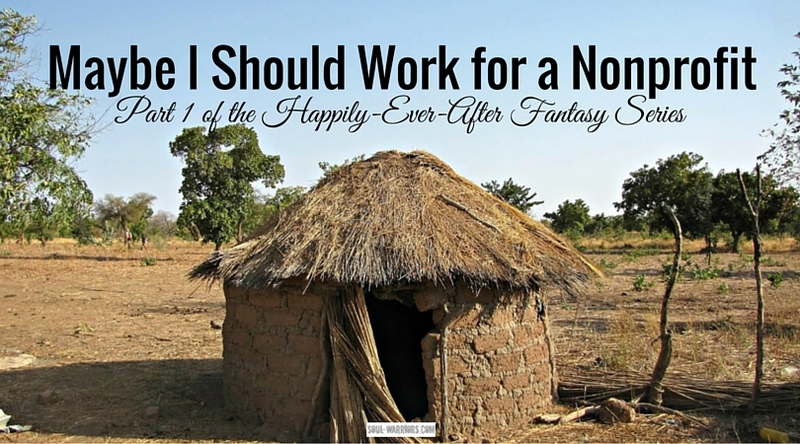 I was like Jonathan years ago – I dreamed of finding work with deep meaning – I sensed that the misery I experienced in my corporate jobs would abate if I could find something that made a real difference in the world. My only models of ‘making a difference’ were extremes, things I would never want to do – moving to a developing country, living in a tent, helping to build huts. I realized this was a ridiculous extreme, but it seemed like one of the only avenues to make a difference. I figured I could settle for making a smaller difference – I could work for a nonprofit, an organization that would make some kind of difference in the world. I envisioned nonprofits as heaven-on-earth organizations, ones where coworkers truly cared, work was meaningful, and I went home satisfied each day that I had made a difference. 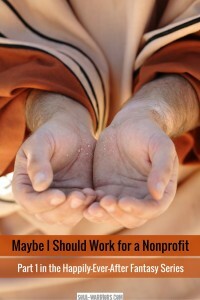 I asked him to do some volunteer work in a nonprofit and see what he thought. I’d love to share with you what he discovered and what he ended up doing, but it is way too long of a story for a blog post. I’ve created a whole webinar so you can learn the context and hear what how it turned out. 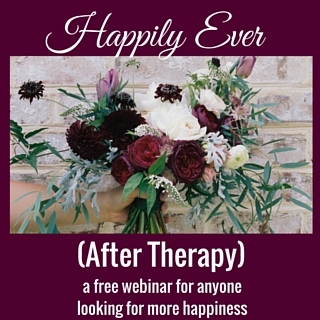 Find out what happened with Jonathan and how he turned his happily-ever-after dream of finding his purpose into his living-happily-now reality in my upcoming webinar on March 5th – Happily-Ever-After-Therapy. Click here to learn more and register.